Summer is slowly but surely coming upon us, and I have discovered a gem. Wegman’s, an upstate New York grocery chain, has opened a location in Chesnut Hill. Oh man, is it worth the drive. The selection and quality of my groceries has skyrocketed, as this store is a monster. Literally huge and filled with everything. The first time The Russian and I entered, we couldn’t believe it. Coupled with some serious inspiration in the form of cookbooks loaned to me by fellow chefs, I have lots of fun things planned for my kitchen in the coming weeks. 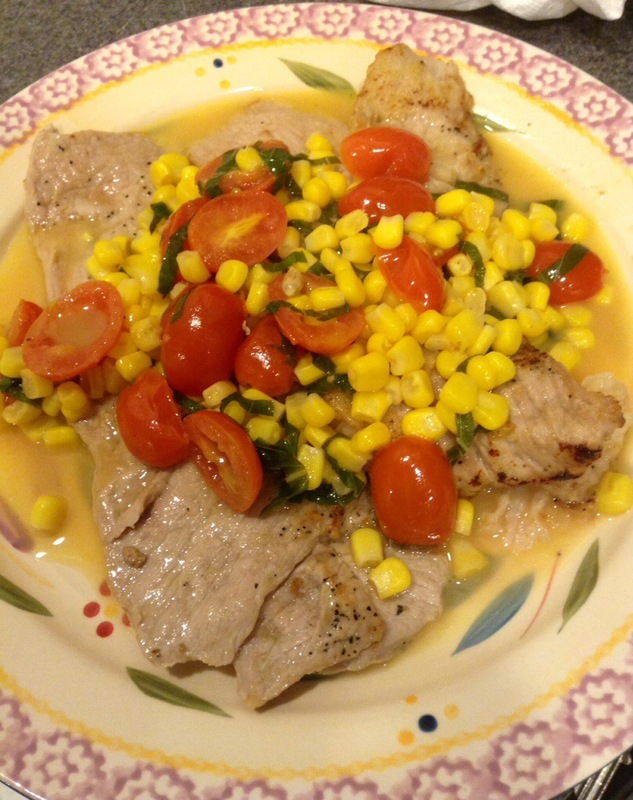 This is a great quick summer recipe with veal, inspired by a recipe I found and tweaked a little from one such book. Veal, if cooked correctly, is incredibly velvety and light, pairing perfectly with the light buttery sauce. Heat a little olive oil in a pan over medium heat. Season the cutlets with salt and pepper and lightly dust with a little ap flour. Cook for about 1 1/2 minutes per side and take off the heat and place on a paper towel lined plate. 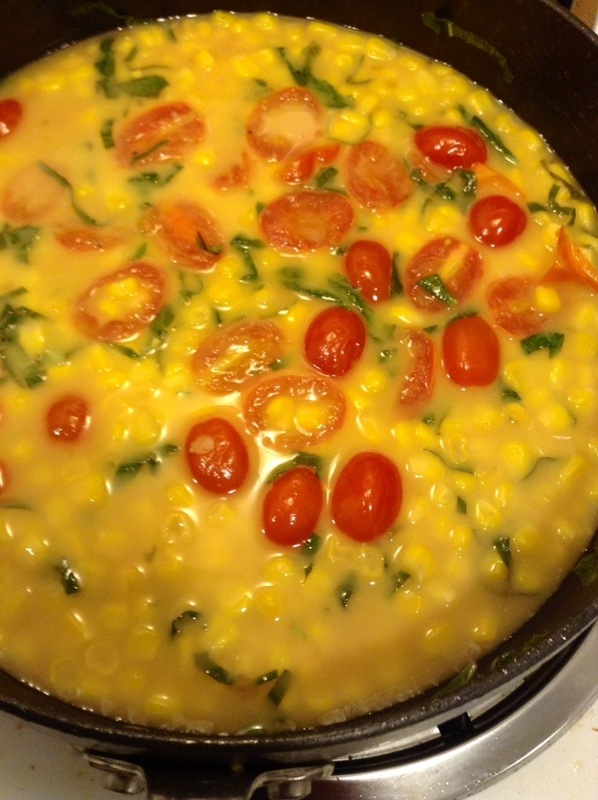 Add the tomatoes and corn to the pan, and cook for about 3 minutes, or until soft. Add a few tablespoons of the vinegar and 1/3 cup or so of white wine and let reduce (note: this sauce is kinda like a Burre Blanc with yummy veggies). After 3 minutes or so, take off the heat and add the basil, thinly sliced, and the butter, stirring the pan, until incorporated. Season with salt and pepper if necessary. 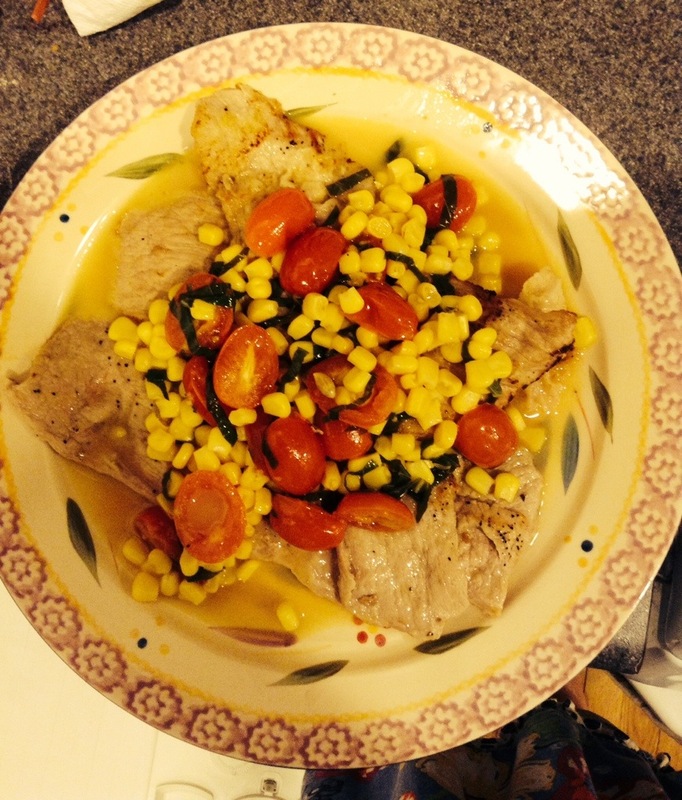 Spoon the sauce over the veal and serve with a salad and crusty bread for dipping. So light but so filling, perfect with a glass of wine in the summertime.